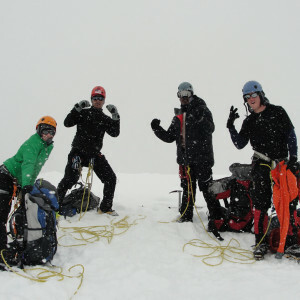 A 7-Day Alaska Mountaineering Course is a great way to prepare a novice or intermediate climber with a solid foundation for glacial mountaineering pursuits over a relatively short period of time. 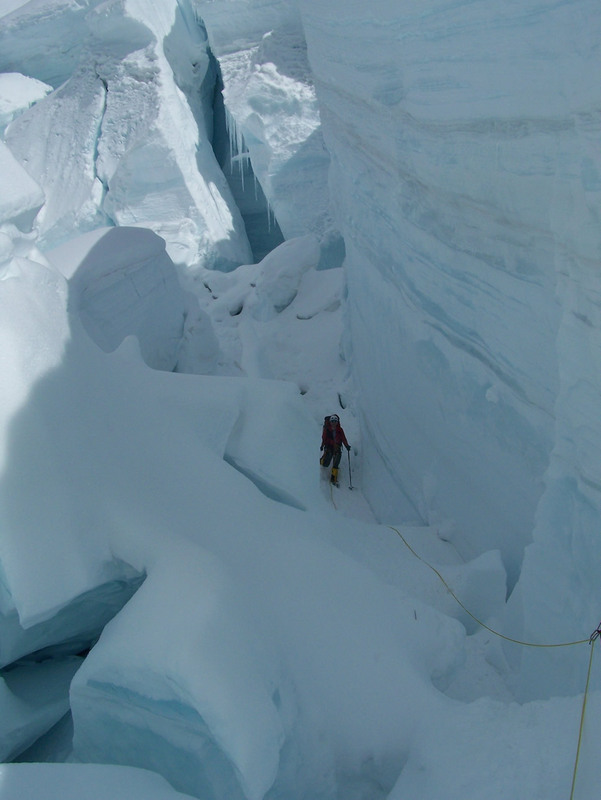 This is a great option for novice climbers to learn the requisite skills for a guided ascent of Denali, Aconcagua, Mount Vinson or 6000 meter Himalayan peaks. Set amidst iconic peaks of the Alaska Rage, this course combines a stunning setting with a proven curriculum of mountaineering education. Participants need to be in good physical condition to partake in this course. You should be prepared to carry a 40 lb pack and pull a 20-30 lb sled on the days we move camp. 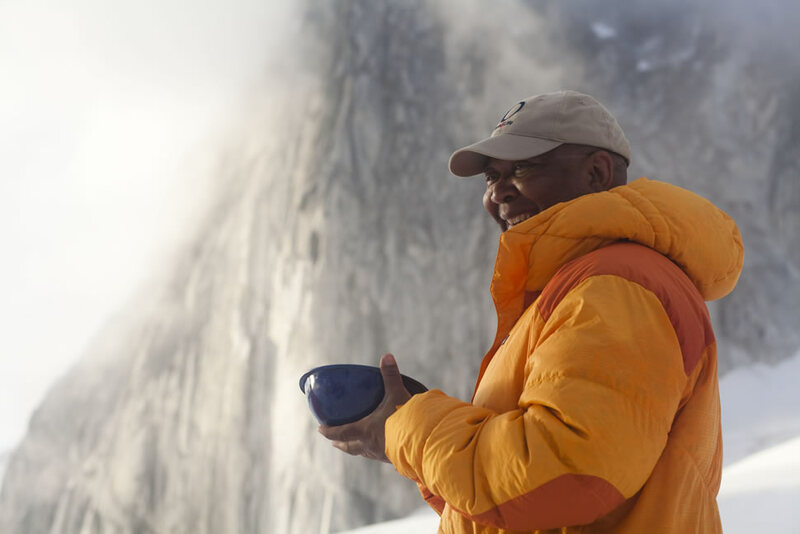 Proper mountaineering training is very subjective, and we encourage you to contact us so we can work with you to develop a good training regimen for your lifestyle. Be prepared for temperatures below freezing at night, with day time temperatures very comfortable and sometimes hot! 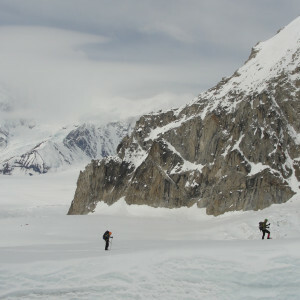 Most of our course locations are below 8,000 feet, so you should not experience extreme weather like on Denali. Contact us for a detailed equipment list and more information. This course is provided by Mountain Trip Alaska, LLC, an authorized concessionaire of Denali National Park and Preserve. DAY 1: MEET IN ANCHORAGE. We’ll have our Team Meeting at the Lakefront Hotel 10 A.M. during which we’ll have an expedition orientation and equipment check. This is a very important meeting, which you must attend! Be sure to arrive in Anchorage early enough to make the meeting; which may require arriving a day early. We recommend staying at the Lakefront, which is a very nice hotel in a grand Alaskan fashion. Contact us for discounted reservations. After the gear check, we’ll load up in our van and make the two hour drive north to the end of the road town of Talkeetna. After a quick registration with the National Park Service, we’ll board ski-equipped airplanes for the flight into the Alaska Range! 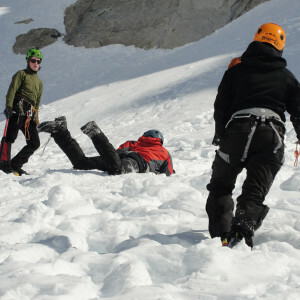 Once on the glacier, everyone will need to pitch in to get our Base Camp established. DAY 2-4: SKILLS. We will spend a lot of time covering many skills in the first few days. 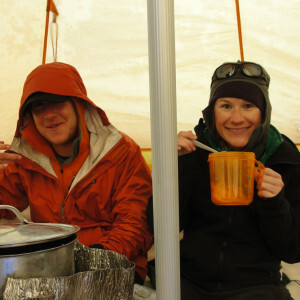 We will also cover glacier camping techniques and other aspects of efficient campcraft, such as cooking and water production. We will go over the knots that hopefully you’ve been practicing and build upon those to learn proper rope techniques for belaying and rappelling. 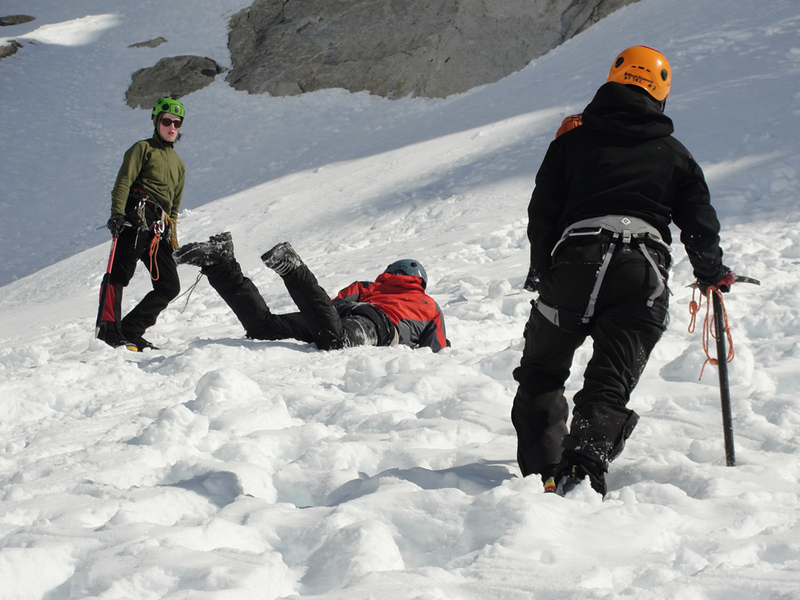 You’ll spend time going over snow climbing skills such as self arrest, glissading and how to use those sharp crampons and ice axes. You’ll learn how to travel on a glacier, how to read glaciers to identify potential hazards such as crevasses and how to get out of them if you misread the terrain. Finally, we’ll rig our sleds for travel and get ready for heading up glacier. DAY 5-6: CLIMBING. 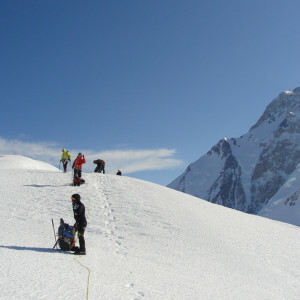 From our base camp we can attempt several different climbing objectives and put the mountaineering skills in action. Pt. 8,670, also known as Radio Control Tower, and the East ridge of Mt. Frances both provide some great climbing opportunities right out of camp. The views of the three big peaks (Denali, Foraker, and Mt. Hunter) from the top of Mt Frances are stunning. These routes provide just the right balance of challenging, but achievable climbing objectives. DAY 7: FLY BACK TO TALKEETNA. 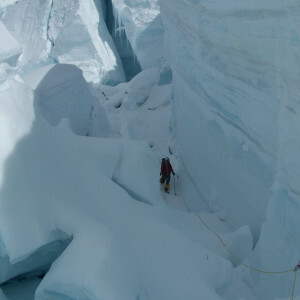 Depending on the weather, and how tired you are from the previous days of climbing, we can spend part of this day climbing, or practicing crevasse rescue in the giant crevasses near base camp. In the afternoon we will pack up our camp and catch our ski plane flights back to Talkeetna. *** As with any mountain itinerary, this is subject to change for many, many, potential reasons. The following is a general list of required gear for Alaska Range mountaineering courses with Mountain Trip. Climbers joining us on an course will receive an updated, comprehensive equipment list that may supersede this list. Many of the items on the list need to fit you well in order for you to fully enjoy your experience on the mountain. Please plan ahead with equipment purchased for your trip so you can be certain that your gear fits you well. Hiking up a glacier in the Alaska Range is not the place to discover that your pack is too small for your torso, or that your boots give you blisters. Recommended items reflect the opinions of our guides. We have used and have faith in all of our recommendations, but they may not necessarily fit or work for you. 6000 meter Mountain Boots Modern Mountaineering Boots fall into two categories, traditional double boots and the newer triple boot systems with integrated gaiters. Either variety works well, however the “triple boots” are lighter and arguably simpler. Whichever you decide to use, the goal is to have warm, comfortable feet! Try on a variety of boots as they all fit differently and get the one that fits well. Consider your future mountaineering objectives when purchasing boots as well. For Aconcagua and mountaineering courses, you do not need to have a "triple boot" for warmth, unless you have particularly cold feet, and the rocks and scree on Aconcagua can wear through the soles on these high altitude boots. We typically recommend a double boot such as the La Sportiva Spantik or Baruntse, or the Scarpa Phantom 6000. Denali Sleeping Bag A good Denali sleeping bag should be down filled and rated between -20 F (-29C) to -40 F (-40C). If you sleep cold, consider the warmer bag. A Down filled sleeping bag is required, synthetic bags are not acceptable. Sleeping bag systems or over bags are generally a compromise and not recommended. Mountain Equipment makes some of the best down bags on the market, but can be hard to find in the US. Contact our friends at Jagged Edge in Telluride for custom orders! Backpack for Expeditions Denali and Mount Vinson climbs require a larger capacity pack than do most other expeditions. Climbers need to have a pack with a minimum volume of 85 liters, and bigger is better for most climbers. You'll need enough capacity to carry all your personal gear, plus your share of the group food and equipment. Large Zippered Duffel/ Sled Bag You'll want an XL sized (90 – 120L) duffel for your expedition. Lightweight and inexpensive bags work fine, although water resistant bags like the Patagonia Black Hole Bag 120L are nice for their toughness to weight ratio. A quality duffel bag can work for a sled bag on Denali, a mule bag on Aconcagua and a great all around travel bag. Ascender You need one full-sized ascender such as the Petzl Ascension to clip into the fixed lines on the route, and to use for crevasse rescue applications. Belay/Rappel Device A plaquette style belay/rappel device. Snowshoes Select lightweight snowshoes for your trip in a 22-28 inch length. The addition of a heel riser is welcome when ascending steeper hills, but is not necessary. You won't need optional, add-on tails, which add length to some models. We rent high quality MSR snowshoes, please contact the office to reserve! Sunscreen The sun can be intense at altitude. Bring one small tube for use while climbing and one larger tube for use while not on route. Solar Panel/Battery *optional If you are planning to charge your iPhone, inReach, or other electronics on the expedition you will need a good, small solar panel. We recommend using the panel to charge a battery and then charging your devices from the battery. This is definitely some extra weight, so keep it light and maybe share a panel and battery with your tentmate! [post_excerpt] => Modern Mountaineering Boots fall into two categories, traditional double boots and the newer triple boot systems with integrated gaiters. Either variety works well, however the “triple boots”  are lighter and arguably simpler. Whichever you decide to use, the goal is to have warm, comfortable feet! Try on a variety of boots as they all fit differently and get the one that fits well. Consider your future mountaineering objectives when purchasing boots as well. For Aconcagua and mountaineering courses, you do not need to have a "triple boot" for warmth, unless you have particularly cold feet, and the rocks and scree on Aconcagua can wear through the soles on these high altitude boots. We typically recommend a double boot such as the La Sportiva Spantik or Baruntse, or the Scarpa Phantom 6000. 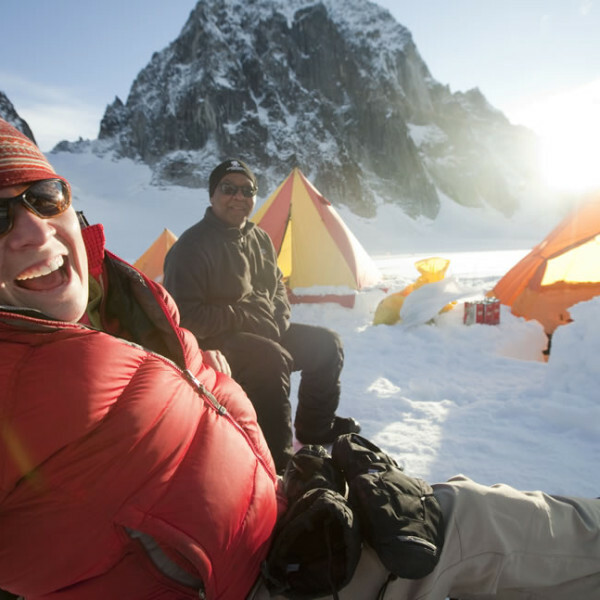 [post_excerpt] => A good Denali sleeping bag should be down filled and rated between -20 F (-29C) to -40 F (-40C). If you sleep cold, consider the warmer bag. A Down filled sleeping bag is required, synthetic bags are not acceptable. Sleeping bag systems or over bags are generally a compromise and not recommended. Mountain Equipment makes some of the best down bags on the market, but can be hard to find in the US. Contact our friends at Jagged Edge in Telluride for custom orders! 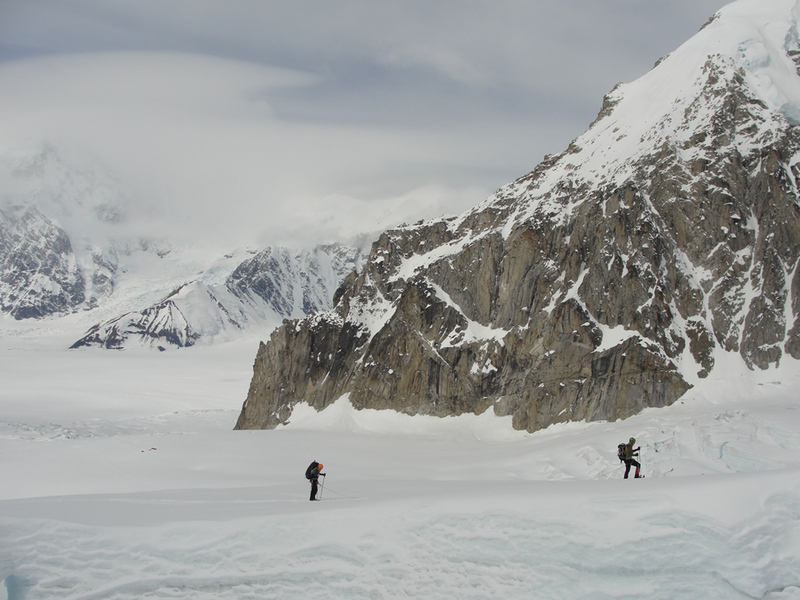 [post_excerpt] => Denali and Mount Vinson climbs require a larger capacity pack than do most other expeditions. Climbers need to have a pack with a minimum volume of 85 liters, and bigger is better for most climbers. You'll need enough capacity to carry all your personal gear, plus your share of the group food and equipment. 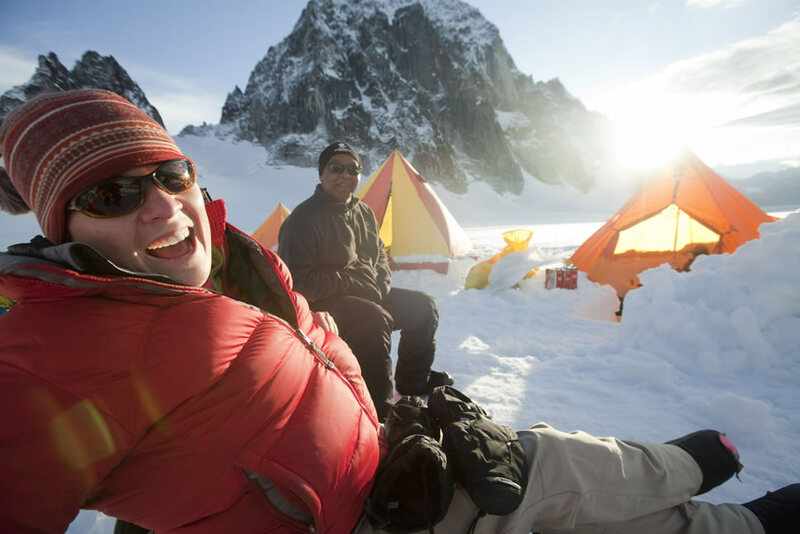 [post_excerpt] => You'll want an XL sized (90 – 120L) duffel for your expedition. Lightweight and inexpensive bags work fine, although water resistant bags like the Patagonia Black Hole Bag 120L are nice for their toughness to weight ratio. A quality duffel bag can work for a sled bag on Denali, a mule bag on Aconcagua and a great all around travel bag. [post_excerpt] => You need one full-sized ascender such as the Petzl Ascension to clip into the fixed lines on the route, and to use for crevasse rescue applications. [post_excerpt] => A plaquette style belay/rappel device. [post_excerpt] => Select lightweight snowshoes for your trip in a 22-28 inch length. The addition of a heel riser is welcome when ascending steeper hills, but is not necessary. You won't need optional, add-on tails, which add length to some models. We rent high quality MSR snowshoes, please contact the office to reserve! [post_excerpt] => The sun can be intense at altitude. Bring one small tube for use while climbing and one larger tube for use while not on route. [post_excerpt] => If you are planning to charge your iPhone, inReach, or other electronics on the expedition you will need a good, small solar panel. We recommend using the panel to charge a battery and then charging your devices from the battery. This is definitely some extra weight, so keep it light and maybe share a panel and battery with your tentmate! 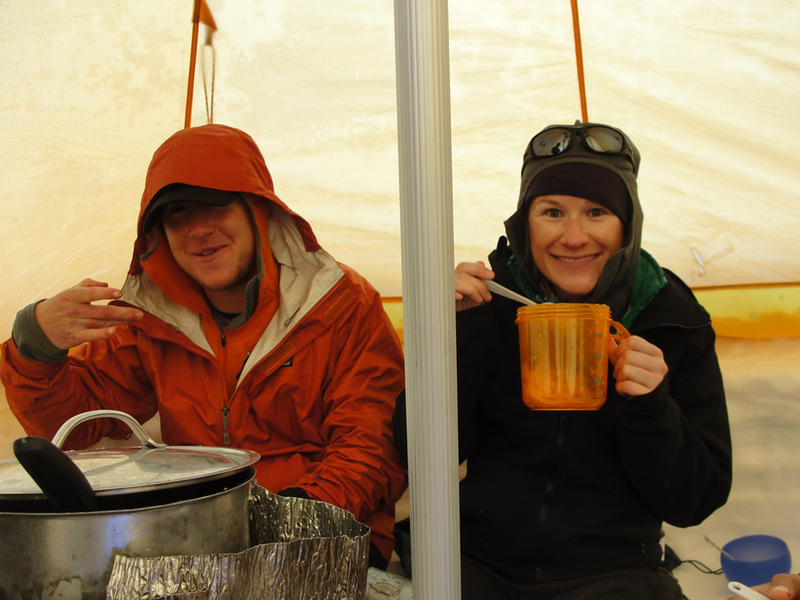 • All Alaska Range courses require a $1500 deposit to secure a spot on the team. Your submission of a deposit constitutes your acceptance of this Fee Schedule, Refund and Cancellation Policy. 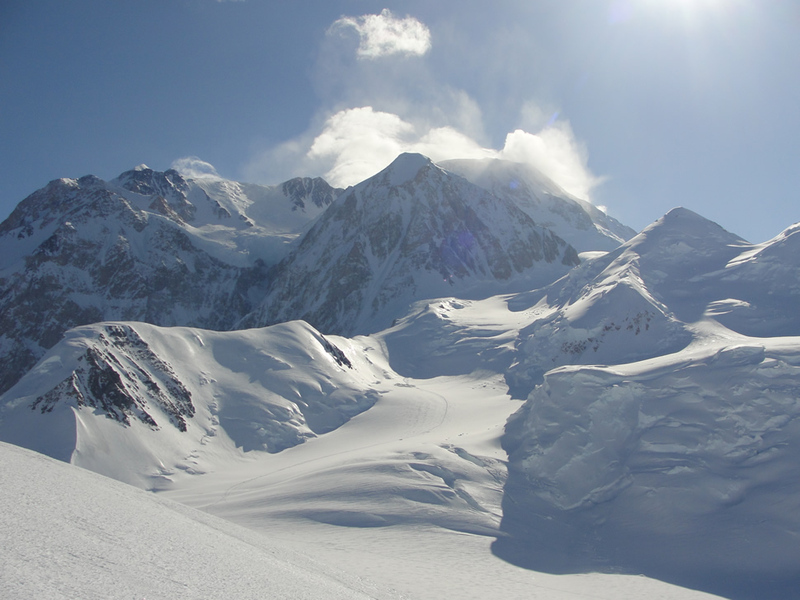 • All deposits for Alaska Range courses include a non-refundable $750 administration fee. • Final payments for Alaska Range courses must be received 120 days prior to the Team Meeting Day. • Failure to pay course fees by the date they are due constitutes cancellation of your spot on the team and forfeiture of your deposit. • Mountain Trip reserves the right to cancel a course prior to the departure date for any reason. In such an event, all monies collected by Mountain Trip from team members for that expedition shall be promptly refunded. This is the extent of our financial liability. 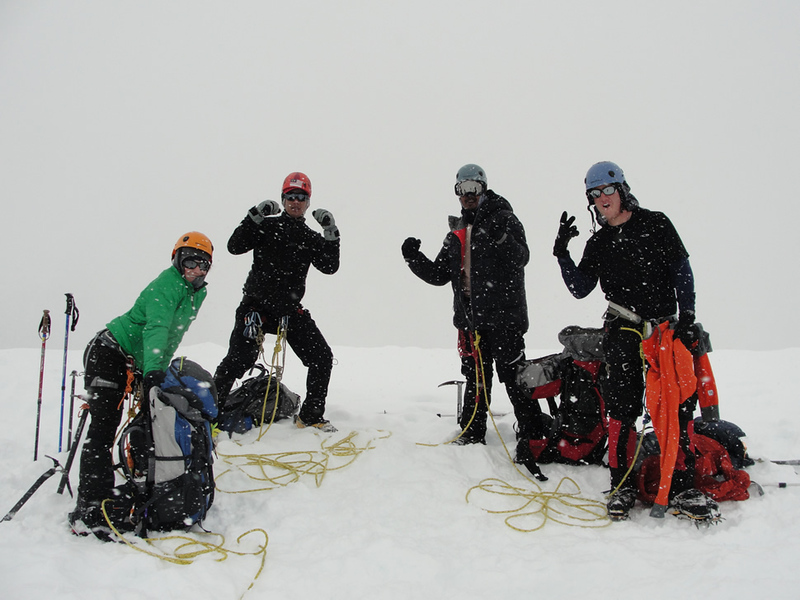 The main purpose of becoming a team member is to join us on a course in the mountains. As such any transportation we provide or that you may contract for on your own is incidental to the trip. We suggest that you make sure you have time built into your itinerary for delays. We will designate a specific Team Meeting Day for your course. Transportation to the meeting point on your Team Meeting Day is to be provided by you. You must arrive in time to be ready to participate in a team meeting at the appointed time on the Team Meeting Day for your course. This probably means you will need to arrive the day before, as our Team Meetings for Alaska trips are held in the morning. 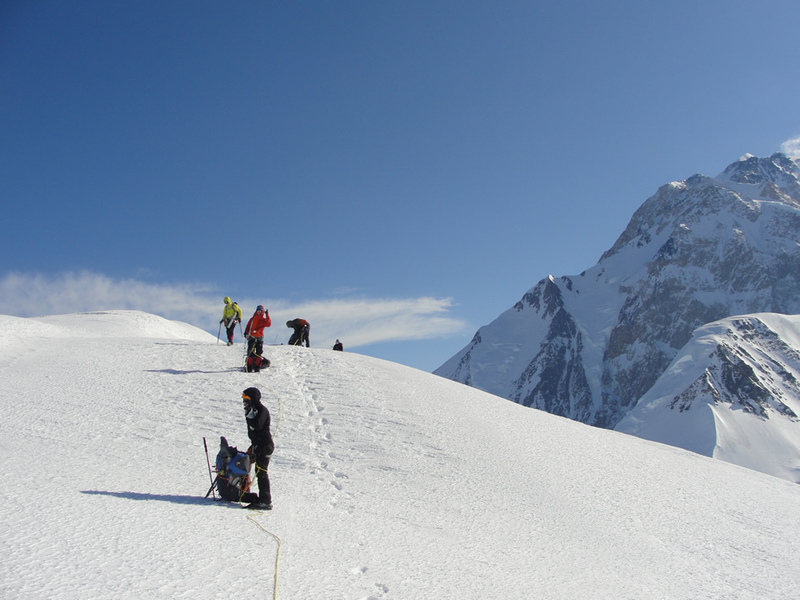 Expedition climbing is very dynamic and we will provide you with a recommendation as to when you should book your flights to and from your destination. We suggest you book a ticket that allows you to change your flight with little effort or cost. While on the course, team members are responsible to maintain basic levels of hygiene and to conduct themselves respectfully with other team members and members of the local population. If a guide feels that a team member is putting other members’ health or safety at risk, the guide has the discretion to remove a team member from a course. • Lodging in Alaska before and after your course, although we can help you secure rooms in Anchorage at a negotiated rate – please inquire about this option. I am so grateful of having used Mountain Trip services. 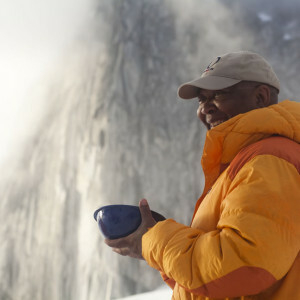 I have been out there in the mountains for a little more than 20 years, mostly by myself but also as part of quite a few commercial expeditions. And I would dare to say that my experience with Mountain Trip was one of the best experiences I have ever had. Ever. Mountain Trip is the friendliest, most competent and most approachable company I have ever worked with. Thanks for the amazing class and amazing guides. The trip definitely prepared me to do an expedition on my own and gave me immense confidence, which was my main objective. I just wanted to thank you again for allowing me to experience the great Alaska Range! I was awestruck the entire time I was there. 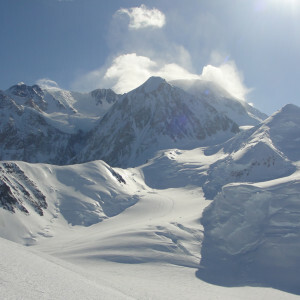 I know that if I end up doing a Denali expedition next summer, I will definitely be going through Mountain Trip. I don’t think my experience on the course could have been anymore positive. The amount of fun and excitement our group had coupled with how much I learned in a mere 12 days was truly phenomenal. Big ups to our guide Dave Ahrens for keeping us all extremely safe while letting the good times roll! I am beyond excited to climb Denali later this month with Mountain Trip and recommend the company with the highest regards!